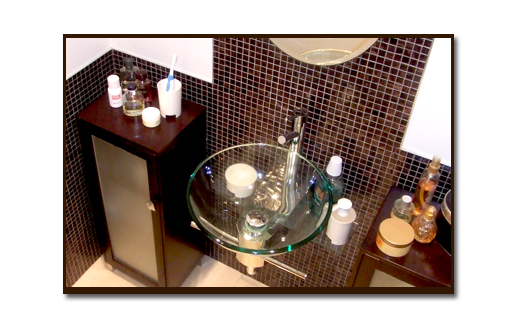 This bathroom is a modern example of the endless possibilites with Kasa Bella. Visit our gallery to see more examples of our work. 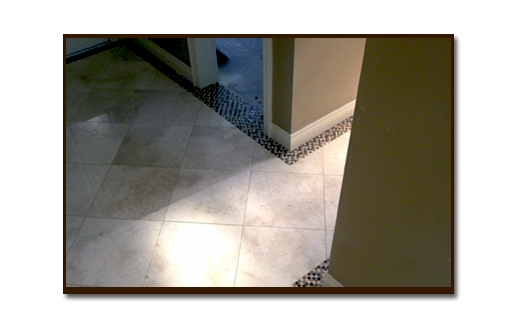 A custom mosaic adds a clean and personal touch to floors and walls. Visit our gallery to see more ways to express your personal style. 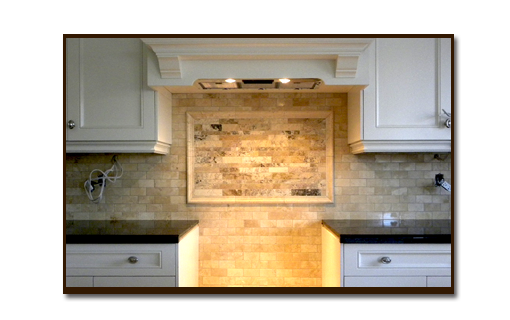 Transform your kitchen with an elegant, durable backsplash. 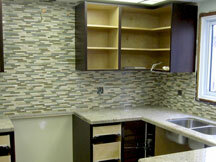 Visit our gallery to see more kitchen installations. Make your home truly yours. A custom kitchen, bathroom or fireplace can add beauty and personality while adding value to your home. Your personal, custom space is closer and more affordable than you think. From new installations to complete renovations let Kasa Bella measure, design and quote your project free of charge. Kasa Bella's team has creative backgrounds in marketing, art and design. We love working with our hands and getting them dirty. Every unique, custom designed project reflects the pride and enjoyment we take in our work.